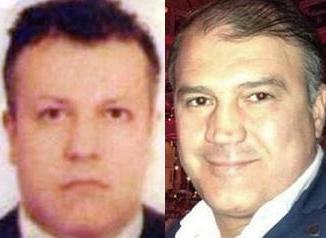 August 10, 2013 - On Friday two Turkish Airlines pilots were kidnapped whilst traveling on a bus going from Beirut airport to their crew hotel. They are now being held hostage by a terrorist group called Zuwwar al-Imam Rida. The group reported they would release the pilots in exchange for nine Lebanese citizens held hostage in Syria. Canada’s International Federation of Air Line Pilots’ Associations (IFALPA) has reported that they condemns this action of this terrorist group and has called for the immediate release of the two pilots. The pilots have been identified as Murat Akpinar and his co-pilot Murat Agca. The kidnapping of the pilots was in retaliation for the seizure of nine Lebanese Shia Muslims near Aleppo on their way home from a religious pilgrimage to Lebanon from Iran in May 2012 by Syrian rebels. Syrian National Council had condemned the kidnapping. The kidnappings come at a time of high tension in Lebanon as a result of a 15 month old conflict in Syria. Both pilots were traveling from Rariq Hariri Airport in the airlines van on their way to a hotel in Beirut after flying in from Istanbul on a scheduled flight. The van the pilots were traveling in was stopped and seized by six Zuwwar al-Imam Rida gunmen. IFALPA said any attack on civil aviation constitutes a willful hazard to the safety and security of passengers and crew. States and Operators should consider the prevention of such attacks as a high priority, and do everything in their power to ensure the security of air crews and their families, in particular during layovers. The International Federation of Air Line Pilots’ Associations represents in excess of 100,000 pilots in more than 100 countries world-wide. IFALPA’s mission is to be the global voice of airline pilots, promoting the highest level of aviation safety and security world-wide and providing services, support and representation to all of its Member Associations.